This post represents some thoughts on the use of psychophysiology to evaluate the player experience during a computer game. As such, it’s tangential to the main business of this blog, but it’s a topic that I think is worth some discussion and debate, as it raises a whole bunch of pertinent issues for the design of physiological computer games. Psychophysiological methods are combined with computer games in two types of context: applied psychology research and game evaluation in a commercial context. With respect to the former, a researcher may use a computer game as a platform to study a psychological concept, such as effects of game play on aggression or how playing against a friend or a stranger influences the experience of the player (see this recent issue of Entertainment Computing for examples). In both cases, we’re dealing with the application of an experimental psychology methodology to an issue where the game is used as a task or virtual world within which to study behaviour. The computer game merely represents an environment or context in which to study human behaviour. This approach is characterised by several features: (1) comparisons are made between carefully controlled conditions, (2) statistical power is important (if you want to see your work published) so large numbers of participants are run through the design, (3) selection of participants is carefully controlled (equal number of males and females, comparative age ranges if groups are compared) and (4) counterbalanced designs, i.e. if participants play 2 different games, half of them play game 1 then game 2 whilst the other half play game 2 and then game 1; this is important because the order in which games are presented often influences the response of the participants. This entry was posted in Musings, Research and tagged games, psychophysiology, user evaluation on June 23, 2011 by Steve Fairclough. 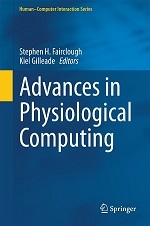 This entry was posted in Research and tagged adaptive responses, concepts, physiological computing on May 7, 2011 by Steve Fairclough. I attended a workshop earlier this year entitled aBCI (affective Brain Computer Interfaces) as part of the ACII conference in Amsterdam. In the evening we discussed what we should call this area of research on systems that use real-time psychophysiology as an input to a computing system. I’ve always called it ‘Physiological Computing’ but some thought this label was too vague and generic (which is a fair criticism). 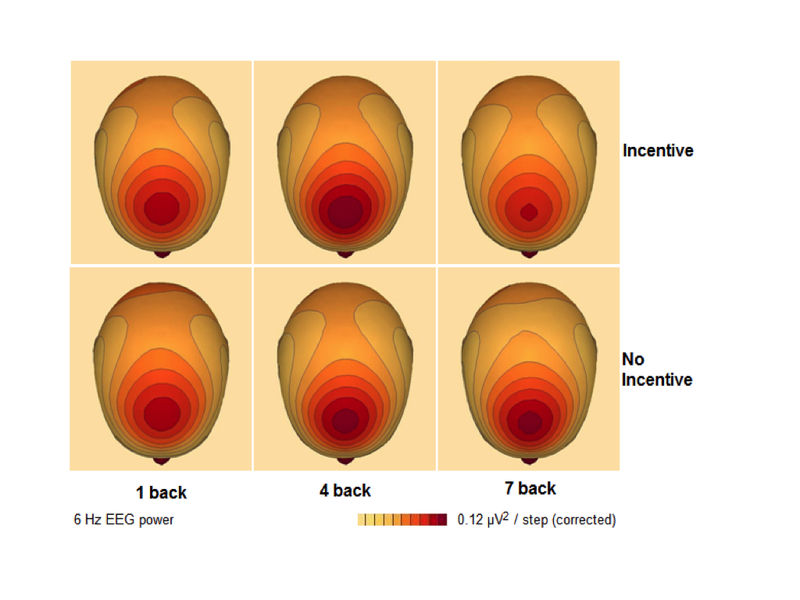 Others were in favour of something that involved BCI in the title – such as Thorsten Zander‘s definitions of passive vs. active BCI. As the debate went on, it seemed that we were discussing was an exercise in ‘branding’ as opposed to literal definition. There’s nothing wrong with that, it’s important that nascent areas of investigation represent themselves in a way that is attractive to potential sponsors. However, I have three main objections to the BCI label as an umbrella term for this research: (1) BCI research is identified with EEG measures, (2) BCI remains a highly specialised domain with the vast majority of research conducted on clinical groups and (3) BCI is associated with the use of psychophysiology as a substitute for input control devices. In other words, BCI isn’t sufficiently generic to cope with: autonomic measures, real-time adaptation, muscle interfaces, health monitoring etc. My favoured term is vague and generic, but it is very inclusive. In my opinion, the primary obstacle facing the development of these systems is the fractured nature of the research area. Research on these systems is multidisciplinary, involving computer science, psychology and engineering. A number of different system concepts are out there, such as BCI vs. concepts from affective computing. Some are intended to function as alternative forms of input control, others are designed to detect discrete psychological states. Others use autonomic variables as opposed to EEG measures, some try to combine psychophysiology with overt changes in behaviour. This diversity makes the area fun to work in but also makes it difficult to pin down. At this early stage, there’s an awful lot going on and I think we need a generic label to both fully exploit synergies, and most importantly, to make sure nothing gets ruled out. This entry was posted in Musings, Research and tagged affective computing, BCI, concepts, physiological computing on December 5, 2009 by Steve Fairclough.